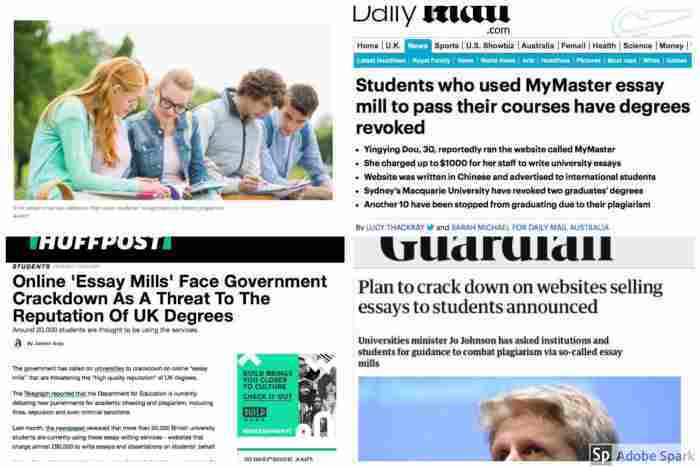 Every college and university in the U.S., U.K., Canada and Australia considers the purchase of an essay writing service plagiarism and a violation of their honor codes, despite the fact that many services advertise they their essays are "plagiarism free." Students who use such services have been expelled and a crackdown on these services has been increasing. You do not want to be in the headlines as one of the victims whose years of study end in humiliation. EssayMaps offers a solution, by coaching you sentence-by-sentence through writing academic paragraphs and essays, the kind of guidance provided in the best western elementary schools in high schools. With EssayMaps, you can write an outline and a paragraph on the first day. With the tutorials, EssayMaps provides you with the necessary background to write essays theses and even dissertations. And you avoid the possible shame of being expelled or having your degree revoked.